For as long as we’ve looked up at the night sky and into its inky abyss, we have asked ourselves: what is the meaning of life? To us the answer is perfectly obvious: Halloween costumes. But there seem to be as many answers to this age-old question as there are people. Some say life’s all about winning. Others say it’s the thing they most love. But few have put it as elegantly and finally as our hero Elmo: “respecting your elders by saying Mr. and Ms. and saying thank you and also giving lots of loves and kisses.” It would be pretty hard to get people to go to war over that innocent notion, wouldn’t it? For a furry and perpetually three-and-a-half-year-old guy, Elmo has made quite the impact on our popular culture. In addition to his role on Sesame Street he has appeared on The Rosie O'Donnell Show, Martha Stewart Living, Emeril Live, Scrubs, and even on The West Wing where he zinged the first lady of the United States. He has additionally saved Christmas in his own movie, and in 1996 he practically dominated the holiday by becoming that year’s hottest toy. Pretty good, Elmo! 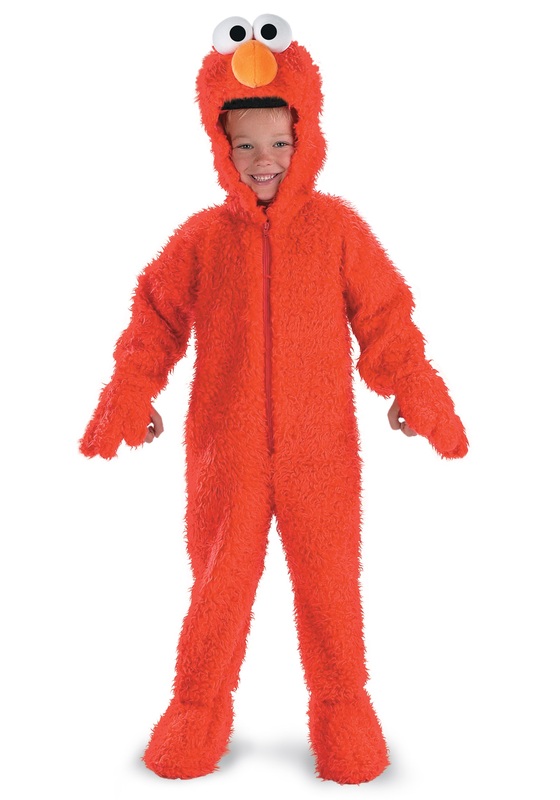 If your kid loves Elmo, as do we all, then nothing could suit them better than the Elmo Costume. It’s shaggy and red, just like the muppet himself, so your kid will be warm and visible on the cold October streets. The hood has Elmo’s darling eyes and nose, and the mittens partially detach on demand so your kid can still do delicate things with their hands!